Randy Seaver in his blog www.GeneaMusings.com provides a challenge each Saturday evening. Tonight’s fun is, on the first day of summer 2014, (1) to write about your summertime fun when you were a child and (2) to evaluate how those childhood fun experiences impact your life today. My family moved a great deal when I was growing up and my memories are very sporadic. There are only three locations for which I have specific summertime memories: Gainesville, Texas when I was six to eight, on Binkley Street in Oklahoma City when I was nine/ten and at Rotary Park in SW Oklahoma City when I was twelve. From Gainesville, I remember picking up boring gray rocks, breaking them with a hammer and being amazed at their sparkly interior; sitting in a circle with the neighborhood kids at dark-thirty telling ghost stories; on hot afternoons filling a metal tub with water and taking turns sitting in it to cool off; drinking water from a hose; riding my bicycle; playing on the graded side of I-35 construction; and walking to the library to check out books to read (I began reading a series of biographies – Presidents’ wives, pirates, Sir Walter Raleigh, etc.). From Binkley Street, I played dolls, cut out paper dolls, played with a whole neighborhood full of friends, explored the world of imagination and spent Saturday afternoons at the movies. This is about the time when I most remember loving to play in the run-off water after a summer shower and to be amazed at all the worms that surfaced after the rain. Because of moving so much, this is the first location where I made a friend I still have today – Jean ‘Tootie’ Blake Riggs. I only lived there one year but Jean and I reconnected in junior and senior high school and have maintained a connection despite many separations of physical distance. The summer between grade school and high school I joined a park’s summer program where the games I played were competitive: ping pong and running track. I rode my bicycle to the park every day to participate. When I discovered the Daily Oklahoman archives, I did a search for my own name and found a news article from July 11, 1953 that evidenced my participation in track – my team came in first. The second part of Randy’s challenge is to evaluate how summertime fun impacted me as an adult. Breaking open rocks to see the sparkles inside helped me realize not everything in life can be judged by its appearance on the outside as well as gave me an appreciation for how amazing our world is – much of it just waiting for our exploration to see it. Playing dolls and telling stories taught me the importance of imagination and creativity. Running track and challenging myself competitively helped me see my physical and mental capabilities and to know there will always be some faster/better/smarter and some slower/worse/less smart than I am, but that challenging myself will always end up making me better than I was before. The library and reading opened my mind to everything – knowledge, possibility, hope, a bridging of the past, present and the future. My grandparents, Zed Hamp and Mellie Jane Welch Willis were living in New Salem Precinct, Itawamba County, Mississippi April 23, 1910 when the census enumerator listed them. Their children at the time were Franklin (7), Thomas (6) [my daddy], John (4), Earnest (3) and Ruthy (1 yr 8 months). Mellie would have been early in her pregnancy with the next son, Rufus Rex who was born in December 25, 1910. They were family number 155 while family number 158 was Mellie’s brother, James W. Welch, and his wife, Pearlie, and their 3-year-old daughter, Brazzie. On a visit to the library in Fulton, Itawamba, Mississippi in 2002, we found a 1912 listing of school students and all but Ruth were listed as students in Township 10, Range 9 of Itawamba County. This would have been two to three miles north of New Salem where they were for the 1910 census (Township 11, Range 9). I found an old Itawamba map that shows the township/range on it; I copied just that section to have some idea of where that was. By the time of the 1920 census they were just south of the New Salem location in Smithville, Monroe, Mississippi, which might indicate they were somewhere within a 25 to 30 mile straight line in eastern Mississippi. However, another child, Lee Roy, was born May 17, 1913 and his birth location was Fayette County, Alabama, which was the marriage location as well as the birth location for the first three of their children (the first daughter died in infancy). 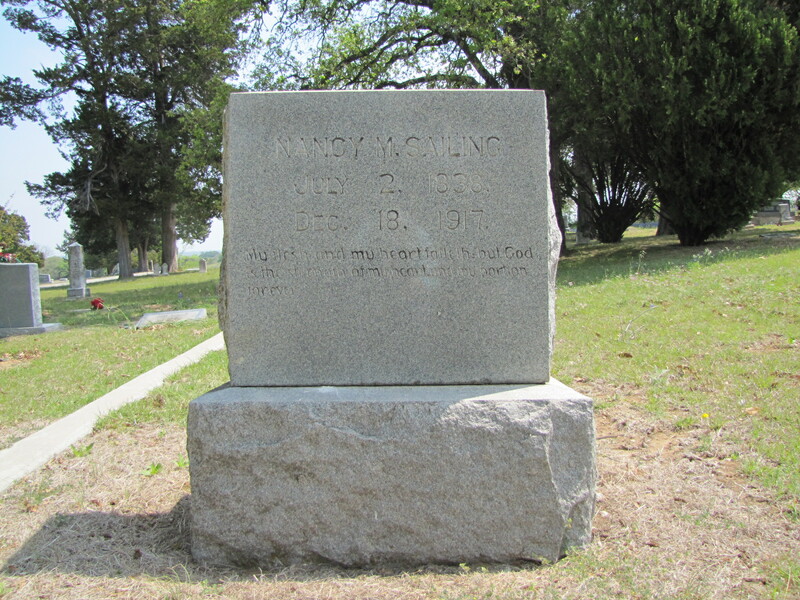 Whether they had moved back to Alabama for a brief time between 1912 and May 1913 or whether Mellie had delivered a baby on a visit there is not known, although we did find a quit claim deed for 40 acres of land in Township 10, Range 9 that was conveyed in May 1919, which would indicate they were most likely living there from 1912 through 1919. Zed Hamp’s father and my great-grandfather, James Franklin Willis was born and died in Fayette County, Alabama. J.F.’s wife had died about 1883 and his mother sometime between the 1900 and 1910 censuses but he lived until 1926. 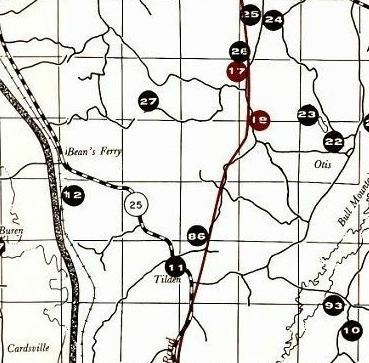 On a trip to Fayette County in 2010, a second cousin, Charles Burns, drove us along Old Gin Road and pointed out locations where JF had lived. The land was totally overgrown with no homes anywhere along Old Gin Road. At the end of the road, we made a right turn onto Ballenger Road and Charles drove us by the last home location for JF when he lived with his son John William. 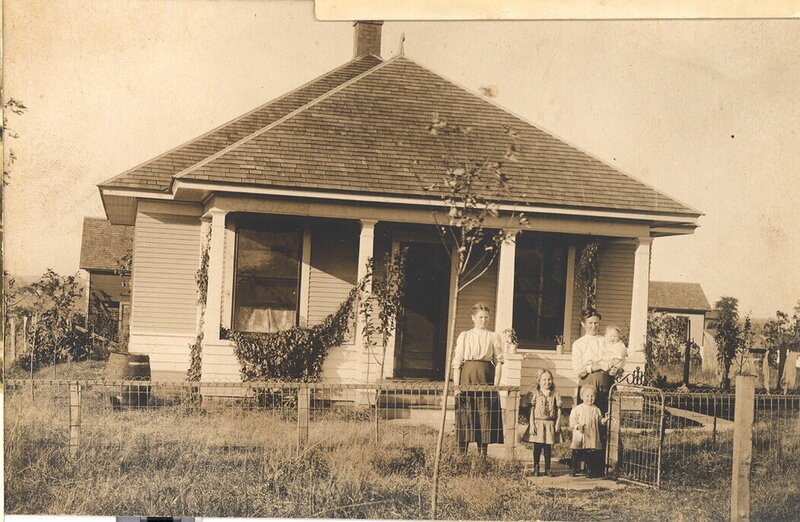 We do have a photo of that home taken in 1961. Although J.F.’s wife and my great-grandmother, Mary Jane Buckner Willis, had died sometime after 1883, and her father died during the Civil War, her mother lived until 1917. Nancy Foster Buckner Watkins Saling moved to Wise County, Texas sometime around the middle of the 1890s where she married for the third time in 1897. According to a Civil War pension file dated December 1913, Nancy had resided in Decatur, Texas for 20 years. On a trip to Wise County in 2011, we drove through areas we had found records about her and visited Oaklawn Cemetery in Decatur, Texas where she is buried. 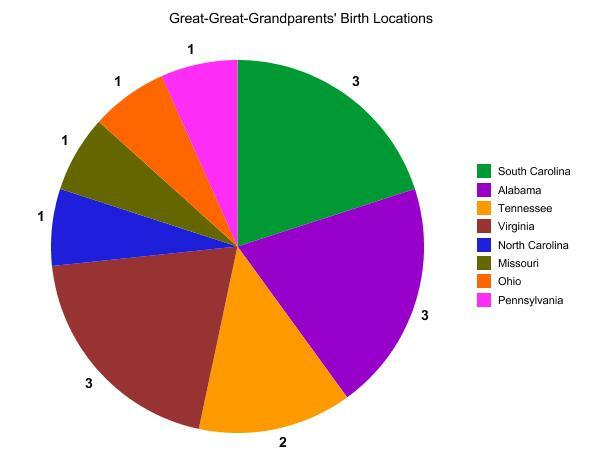 My paternal grandmother Mellie’s parents, William Thomas and Mary Monroe ‘Molly’ Sanford Welch were living in Fulton, Itawamba, Mississippi at the time of the 1910 census. Also enumerated in the family home were Jessie Ellis (21), Lovie (16), Essie (15) and Myrtie (11). We do not have any photos of their home. Today would have been their 134th wedding anniversary, having married January 5, 1879 in Fayette County, Alabama at the home of his brother, James Alexander ‘Bud’ Welch. 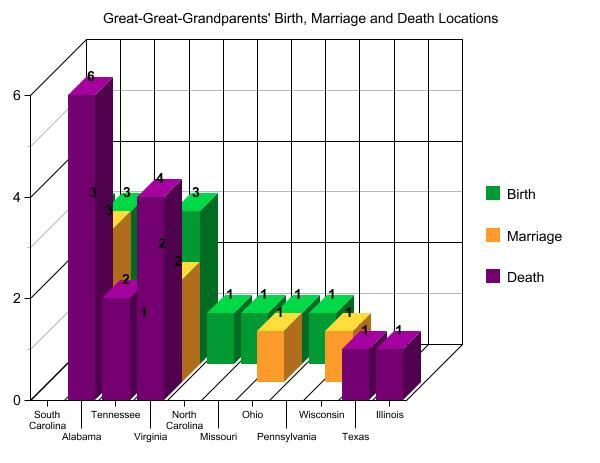 Mellie’s grandparents were both deceased prior to 1913 (in 1907 and 1911). My mother’s parents, Jacob Wesley and Eva Keithley Lineberry were living in the Capitol Hill area of Oklahoma City. There are city directories for almost every year available on ancestry.com and the majority of them show them living at 318 Avenue D, which is approximately the 300 block of SW 26th Street in Oklahoma City. In 1908 he was a carpenter, 1910 a dairyman, 1913 working in feed and coal – from letters he wrote to his brother, he was actually working in feed and coal in Cushing, Oklahoma and only managing to come visit his family in Oklahoma City periodically. The children living in the home on Avenue D would have been Willie (11), Bernita (9), Johnnie (7), Leonard (5), Joe (3) and George (1); my mother would not be born for another year. 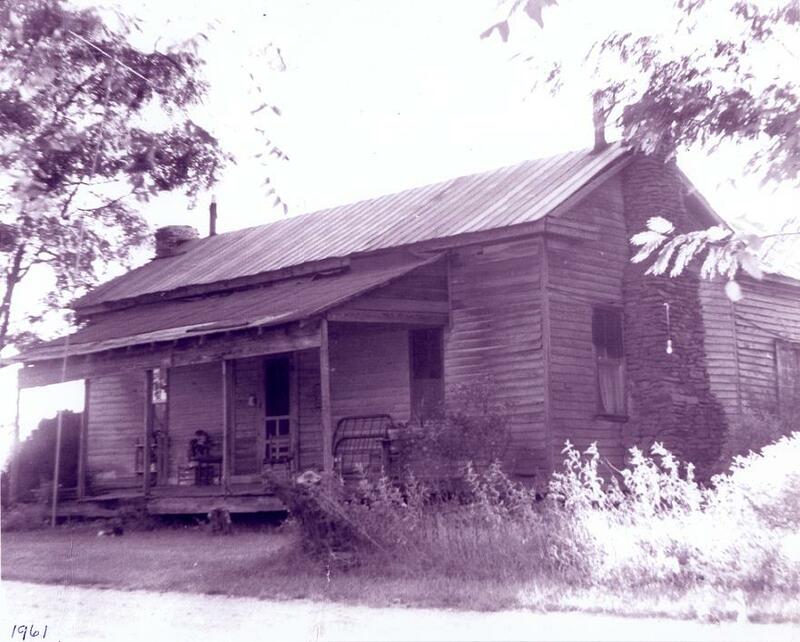 We were sent a photo of their home by a distant relative who found it in a box of photos in Galax, Virginia, which is where Jacob was from – he had presumably sent it to his sister. The woman on the left is unidentified but the woman on the right is Eva and the children are Bernita, Johnnie and Leonard in Eva’s arms; the picture would have been taken about 1909. Jacob’s father, George Alex Lineberry, had remarried in 1896 after the death of Jacob’s mother. George (67) and Amanda (37) and their five living children were enumerated the 1910 census in Sulphur Springs, Carroll, Virginia. 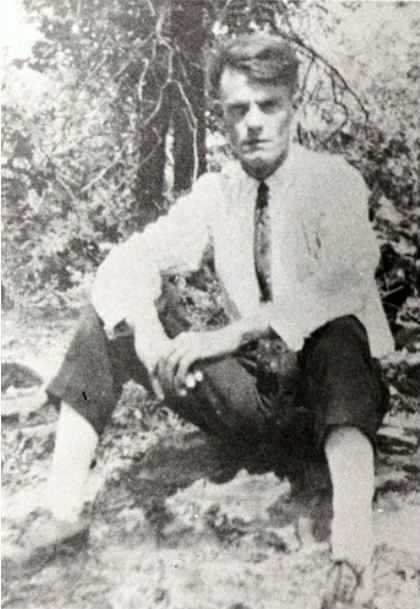 He was a farmer in the Blue Ridge mountains and we do not have any pictures of his home. Eva’s parents were both deceased prior to 1913; her mother sometime around 1890 and her father in 1911. Her father was living in Joplin, Jasper, Missouri at the time of his death. Her paternal grandmother died in Lewiston, Fulton, Illinois in May 1912 and we have no information on her maternal grandparents. 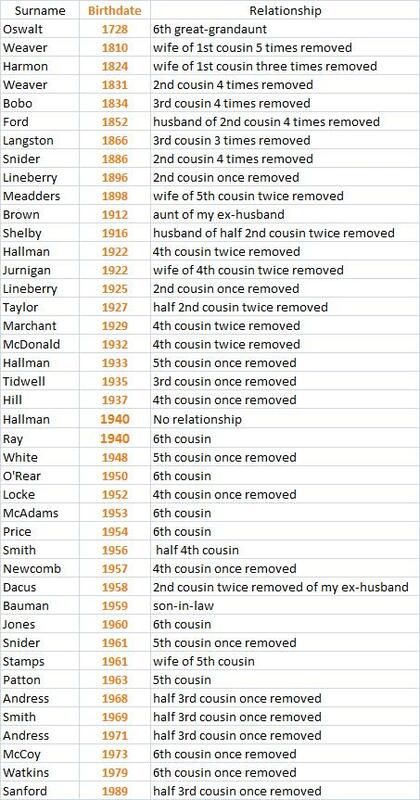 None of the residences of my grandparents and great-grandparents still exist and I’ve never seen any of them; in fact all but Zed Hamp died before I was born and he died when I was one year old. 5. Post about it on your blog or wherever you wish, and link here to tell Chris about it. Tell Randy about it too as a comment here or a comment on Facebook or Twitter. My Results: The Random Name Generator came up with Galen Singleton. 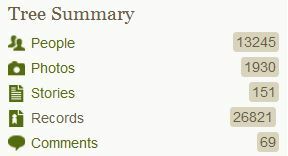 When I put that name into Ancestry, the first name listed was John Galen Singleton and was from the California Death Index, which gave me his name and Social Security number, birth and death dates as well as birth and last residence locations. He was born April 30, 1923 in Oklahoma, which is where I was born and where I currently live; he died June 20, 1997 in Los Angeles, California. One other clue given there was his mother’s maiden Name – Kasling. The next person listed was Galen Ray Singleton, but our assignment was to pick the first name. Right below the second person listed was a photograph of a John Galen Singleton from someone’s family tree. When I clicked on that family tree, I discovered the second John Galen Singleton was the father of my John Galen Singleton. According to that family tree, John Galen’s father was born in Marshall, Saline, Missouri on February 19, 1893. John’s 1917 World War I Draft Registration listed his occupation as self-employed painter doing odd jobs. That occupation was reiterated on the 1930 census. Again, according to the family tree, John died March 19, 1961 in Compton, Los Angeles, California. John Galen’s mother was Elizabeth Luisa Kasling who was born September 20, 1894 in Germany. According to the 1930 census, both Elizabeth’s parents were also born in Germany and Elizabeth arrived in this country in 1908. Elizabeth married John Galen Singleton on July 25, 1917 in Fort Smith, Buchanan, Arkansas. Elizabeth died December 22, 1980 in Lakewood, Los Angeles, California. Although John and Elizabeth married in Arkansas, their daughter, Anna M., was born in Oklahoma in about 1921 and son, John Galen, Jr., was also born in Oklahoma in 1923. Their son, Edward, was born about 1926 in Missouri and their daughter, Addie, was born in California about 1928. By 1930, the family was living in Montebello, Los Angeles, California. Another brother James Leroy Singleton was born in Los Angeles, California in 1936. He died in Las Vegas, ten years before his younger brother, John, also died in Las Vegas. Edward died in 2002 in Seal Beach, California and Annie died in 2008 in Fontana, California. John apparently, according to the family tree, had two other sisters who are still living. The birth locations of the children in Oklahoma, Missouri and California would parallel the Great Dust Bowl migration to California of the late 1920s and early 1930s. With John Galen, Sr. being a self-employed painter, I would suppose his earnings during that difficult time period were pretty meager. Since the whole family remained in the west, it would appear that part of the country provided a better living than what they had found in the Midwest. John Galen Singleton, Jr. served in the US Navy during World War II beginning on December 29, 1942. As one who served in the military, his burial location was reported by the U.S. Veteran’s Grave Index. He was interred on June 25, 1997 at Riverside National Cemetery in Riverside, California. John Galen Singleton, Jr. died in Las Vegas, Clark, Nevada at the age of 74. The potential rest of the story: There was also a third John Galen Singleton born March 6, 1952 in Los Angeles, which was the county where the other two John Galen’s were living and would have been an appropriate time frame for John Galen Singleton, Jr. to have married and begin raising a family. John Galen Singleton III’s mother’s maiden name was Wyatt.